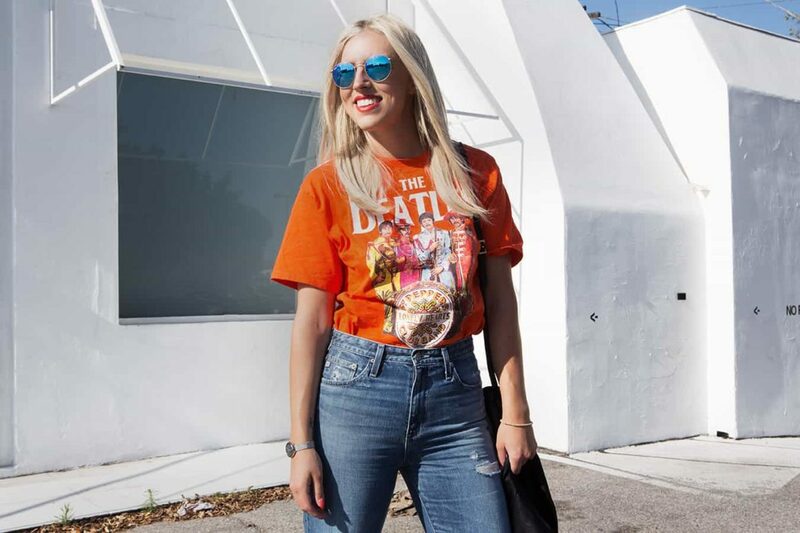 “Three things I can’t stop putting on repeat lately: high wasted everything, vintage t-shirts, and reflective Ray-Ban sunnies” – said every girl in LA right now. Gotta say though, I’m on the band wagon and I’m not mad about it! 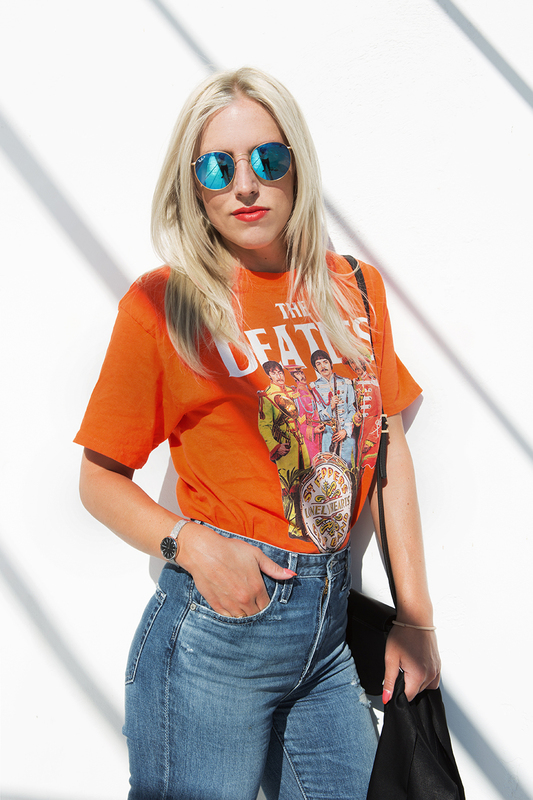 I have been tirelessly wearing out my Levi’s and AG jeans lately, and my favorite thing to pair them with is t-shirts like this vintage Beatles shirt I got for $20 at Melrose Trading Co. I just picked up these Who What Wear pumps for $32.99 at Target, because I have an addiction to trying to buy their entire collections, but also because I was in desperate need of a classic pump. If it’s chilly out I love to throw a blazer on over this type of look, and this particular blazer is one of my absolute FAVORITE finds from this season. I got it at H&M and it was $59.99 – it’s the perfect light weight jacket for Spring/Summer, plus it goes with literally everything. I am always trying to go with a more “rocker chic” look, and this has got to be one of the quickest formulas to attain that. Definitely heading back to Melrose Trading Co this weekend to stock up on weird vintage tees to rotate, I can’t seem to get enough lately! Get out there and enjoy the sun this weekend friends, perhaps I’ll even see some of you at EEEEEATSCON!